When growing vegetables from seed, many seed packets and plant instructions inform the gardener to plant their vegetable seeds in a greenhouse, or under a propagator. While this is a natural luxury afforded to those with a large greenhouse or lots of money to spend on expensive propagation kits, what is the 'normal', everyday and amateur gardener to use? Well, look around you: if you live in a house, or flat – indeed, any building with a glass window – you're in luck! In the five years I've been writing the London Vegetable Garden blog, I've always championed the fact that people can look around themselves and make use of any space that they have and for a 'greenhouse', it's no different! 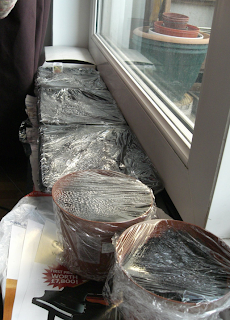 This year, I am starting off my vegetable seeds in the attic space: the skylight offers a natural space to lay my seed trays and plant pots, since it is directly under an angled window, which, being in the roof, catches a great deal of sunlight! However, if you do not have an attic or skylight, a normal windowsill is just as good. Pick a windowsill that receives plenty of sunlight and gets warm. If your existing windowsill is not wide enough to accommodate plant pots or trays, a makeshift table next to the windowsill really is just as good! 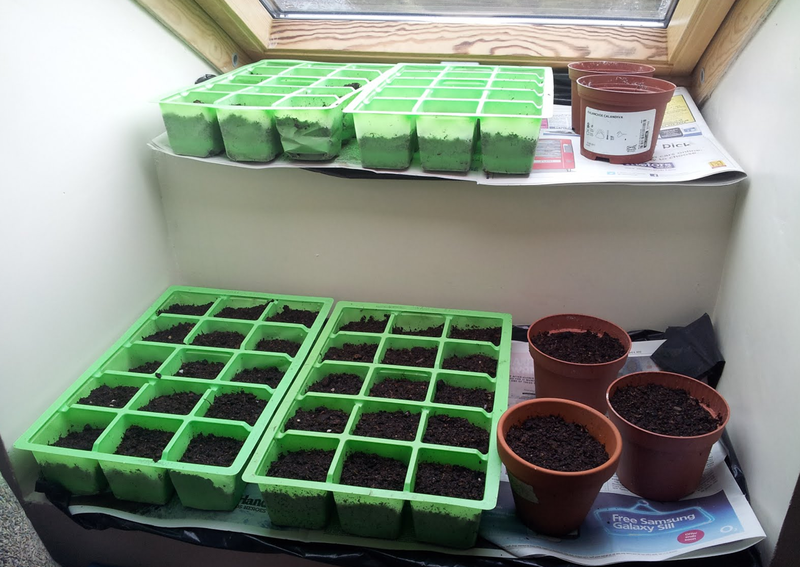 So, if you're starting to plant your vegetable seeds this year and don't have access to a greenhouse, remember that for starting seeds off in a cold spring, windowsills, skylights and glass doorways offer a perfect alternative, helping to germinate your seeds and keep young plants warm before they are ready to be planted outdoors in a few weeks' time. Have you had success with DIY propagation? Where do you leave you vegetable seeds to germinate? Come and join in the discussion on the official London Vegetable Garden Facebook page!